Updated 03.11.2019: Our boomer travel readers love visiting Florida. And who can blame them? From spending a weekend on Amelia Island to fishing in the Florida Keys, there’s so much to do! If your Florida travel plans include “spend a day in Key West,” I might as well warn you—that’s not enough time. With a vibrant waterfront playing host to a killer sunset, colorful historic homes to explore along tree-shaded side streets, and an energetic vibe emanating from local restaurants and bars, you’ll be crying in your margarita because you didn’t allot more time to explore the southernmost city in the continental United States. When the folks at The Florida Keys and Key West invited me on a Florida Keys road trip, I found myself in the same dilemma. 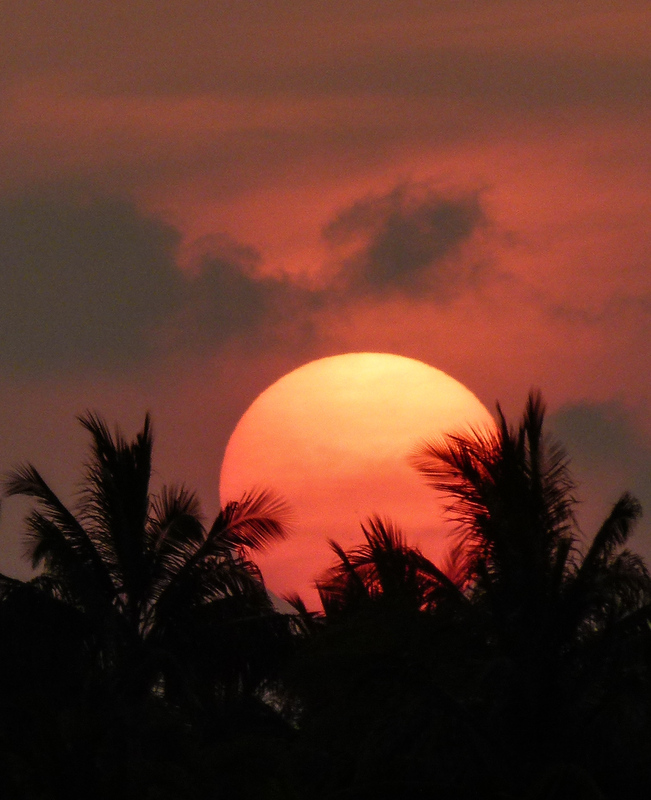 How do I make the most of one day in Key West? Armed with a ticket for the hop-on hop-off for Old Town Trolley, it can be done. So let’s get started with my Key West tips. Save time. Purchase Old Town Trolley tickets online before leaving home. 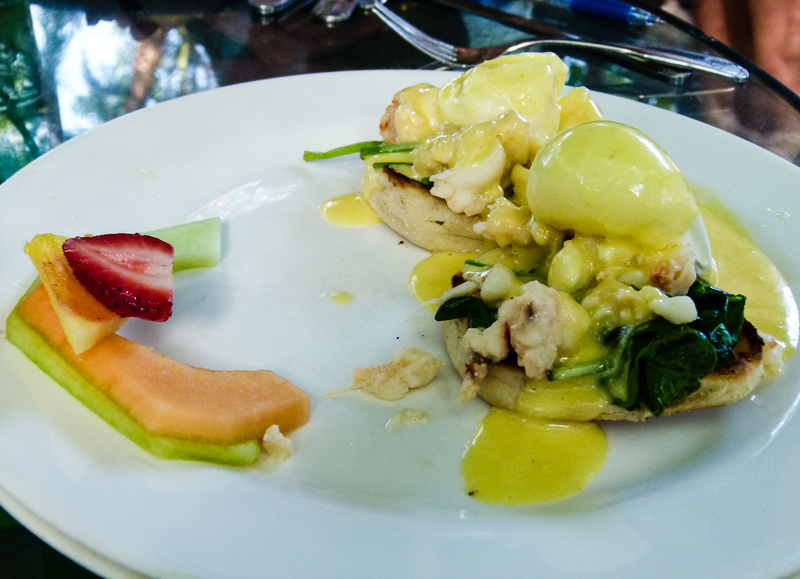 Lobster Benedict from Blue Heaven is a delicious way to start your one day in Key West. You’ll probably encounter a line while waiting to enjoy breakfast in the tree-shaded courtyard at Blue Heaven on Thomas Street. But that’s okay because the local cats and roosters will keep you entertained until it’s your turn to order Lobster Benedict with Key Lime Pie for dessert. Dessert for breakfast? Of course, we’re in Key West! Located in historic Bahama Village, the building at Blue Heaven, which is listed as a National Historic Landmark, has seen almost as many lives as the cats that roam the grounds. From dance hall to bordello to playhouse to pool hall and ice cream parlor, they’ve all played a part in Blue Heaven’s colorful history. Not to mention the gambling, cockfights and Friday night boxing matches in the courtyard. It’s said that Ernest Hemingway refereed those Friday night fights. But you’re here for breakfast. So stroll across slate stones requisitioned from the tops of pool tables, to a table beneath an almond tree. Then order up a delicious breakfast. Did you sleep in? That’s okay because Blue Heaven serves breakfast until 2 p.m.
Blue Heaven also serves lunch and dinner with live entertainment providing the ambiance from 11 a.m. to 1 p.m. and 7 p.m. to 9 p.m.
Ernest Hemingway wrote some of his greatest novels in this room. It’s a four-minute walk through historic Old Key West from Blue Heaven on Petroia Street to the Ernest Hemingway Home & Museum on Whitehead Street. And since this is one of the most popular tourist stops in Key West, it’s best to arrive early, so don’t dawdle too long over breakfast. 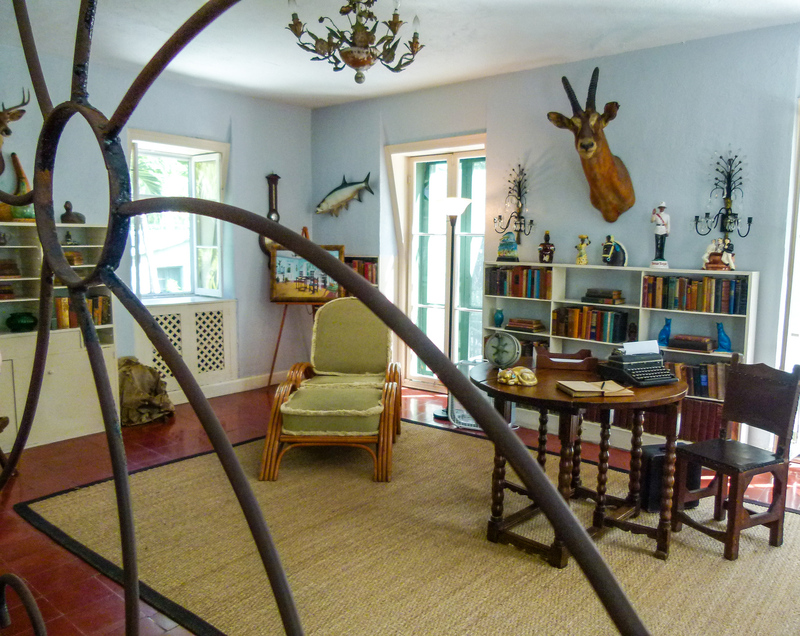 At the main entrance, purchase a cash-only tour ticket for a 30-minute guided tour of the home that hosted Hemingway’s most prolific writing years. The tour includes a knowledgeable guide. On my visit, Stan guides a group of 25 to 30 people (too many in my opinion), through the home filled with original furniture and personal touches before showing us the pool area, Hemginway’s studio and the lovely gardens. Along the way, Stan regales us with stories and tidbits from Hemingway’s life. And, of course, we are introduced to some of the 40 to 50 six-toed cats living at the home, some of whom are the original descendants of Snow White, Hemingway’s first polydactyl (six-toed) cat. Hope you packed an energy bar in your purse or backpack because we’re skipping lunch. And who’s hungry after the Blue Heaven breakfast anyway? Instead, we’re waiting by the Old Town Trolley sign for the hop-on hop-off trolley that will take us to the Key West Butterfly and Nature Conservatory. Sure, we could walk, but riding on the trolley gives a good overview of the town. 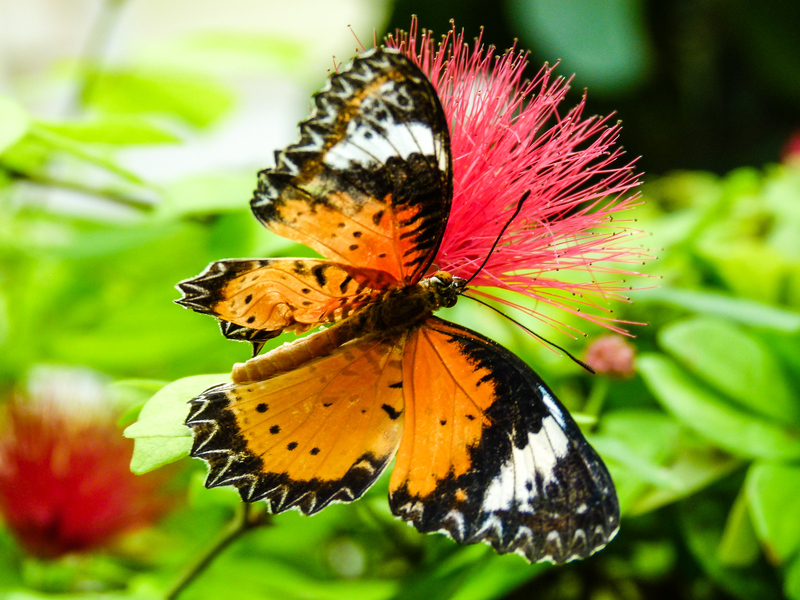 Visiting the Key West Butterfly and Nature Conservatory makes a quiet escape from busy Key West. Although the glass-enclosed habitat is on the small side, it’s packed with tropical pants, a gurgling stream and hundreds of butterflies. During my visit, butterflies float around me, land on my shirt—eliciting a giggle or two—and twitter around my head. All the while, two flamingos squawk and prance in a small pond. The challenging task of taking butterfly photographs at just the right moment is part of the fun. The conservatory exits into a gift shop filled with butterfly items if you’re looking for gifts or souvenirs. After that quiet break with the butterflies, it’s time to board the Old Town Trolley for the Sunset Celebration at Mallory Square. We have a party to attend. Each day, two hours before sunset, tourists and locals gather to watch street performers, browse arts and crafts booths, and indulge in tasty treats from the food carts before oohing and ahhing as a fiery sun dips behind Sunset Key. You’ll marvel at the crazy stunts, find a few souvenirs to bring home and wonder if there ever has been a more beautiful sunset. Has the day in Key West made you hungry? It’s a three-minute walk to the authentically prepared Cuban food at El Meso de Pepe. For over 30 years, Chef Pepe Diaz and his family have served delicious dishes in the Cuban-Conch tradition. 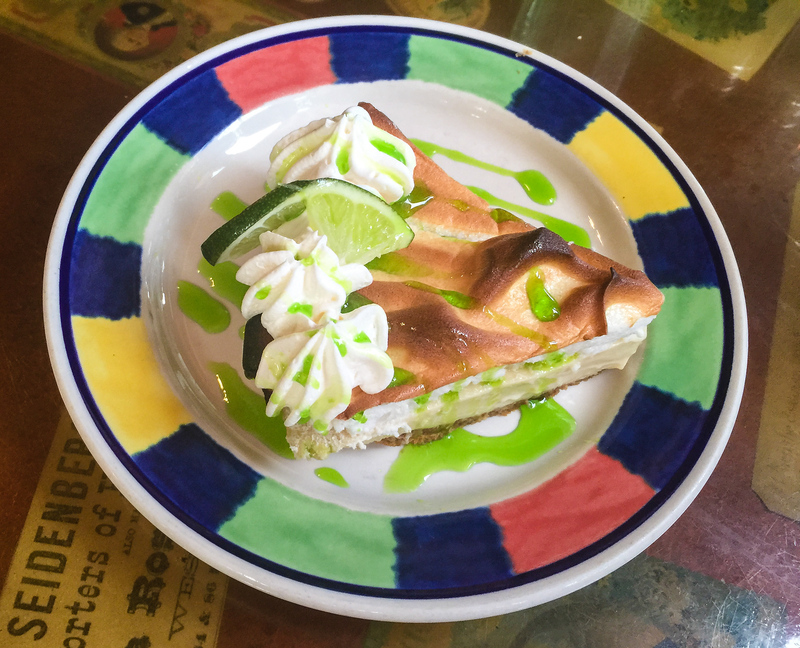 I recommend the Ropa Vieja, “traditional Cuban shredded beef stewed with fresh tomatoes, green peppers, onions and red wine.” And no day in Key West should ever end without a slice of Key Lime Pie. Traveling to the Florida Keys? Check out our Florida Keys road trip articles. For those arriving in Key West by cruise ship, this itinerary, minus breakfast and dinner suggestions, make a fun-filled independent cruise excursion. So save yourself a little money and enjoy a do-it-yourself day in Key West. Disclosure: The Florida Keys and Key West provided this travel experience. However, as always, the opinions are strictly my own.